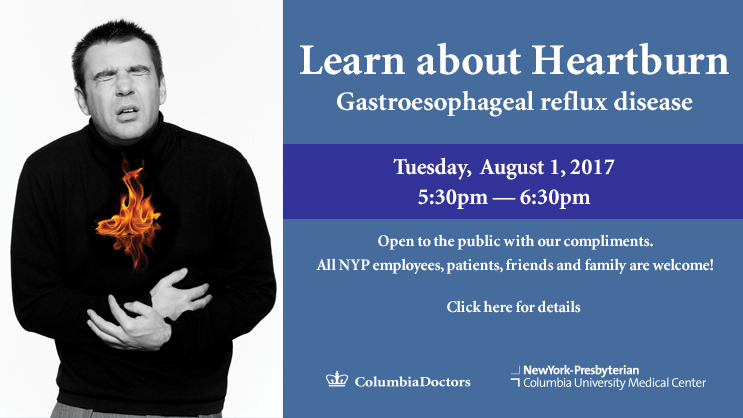 If medications aren’t enough, ColumbiaDoctors surgeons at Columbia University Medical Center can relieve heartburn (GERD) with laparoscopic or incisionless anti-reflux procedures. Open to the public with our compliments. All NYP employees, patients, friends and family are welcome!